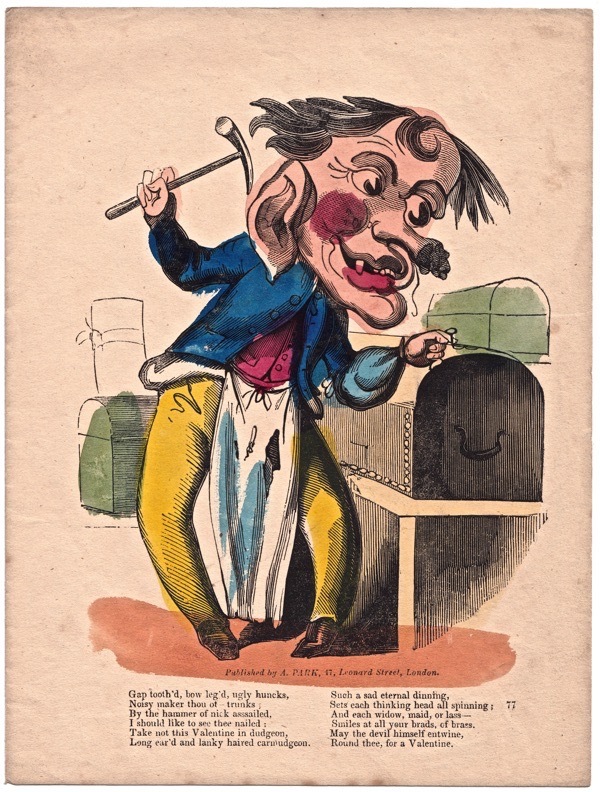 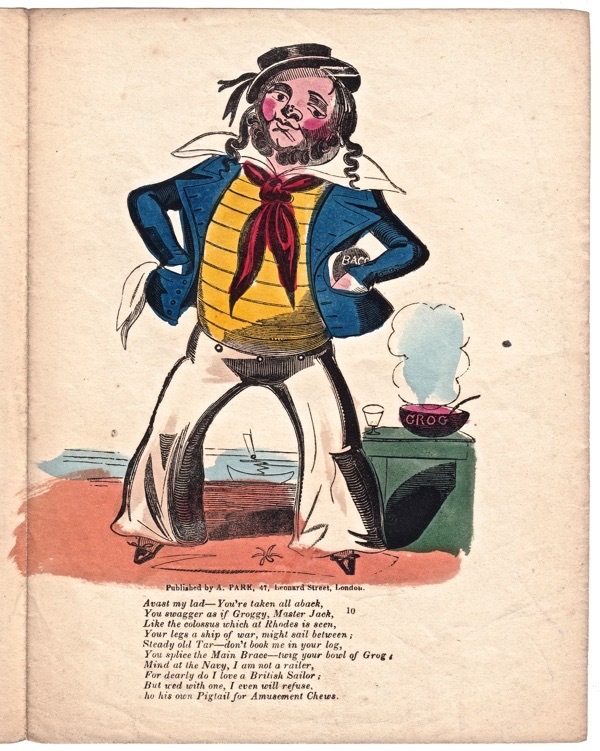 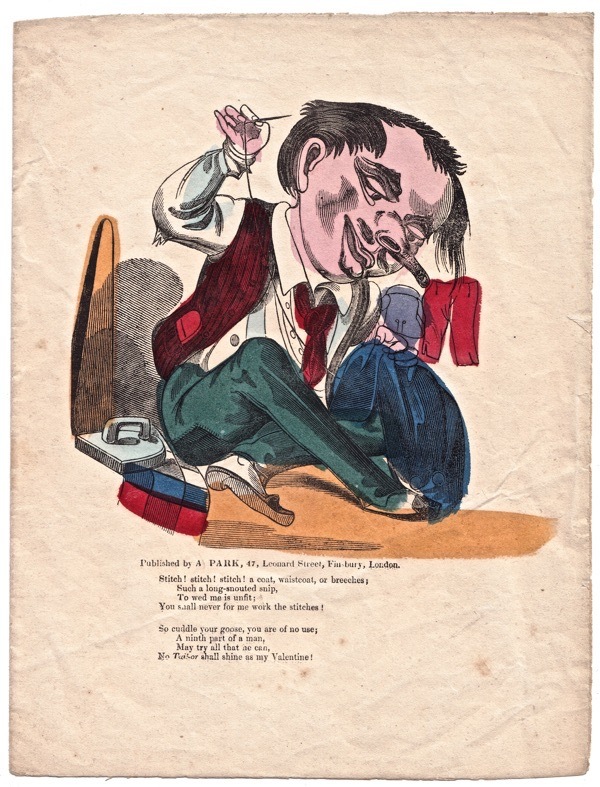 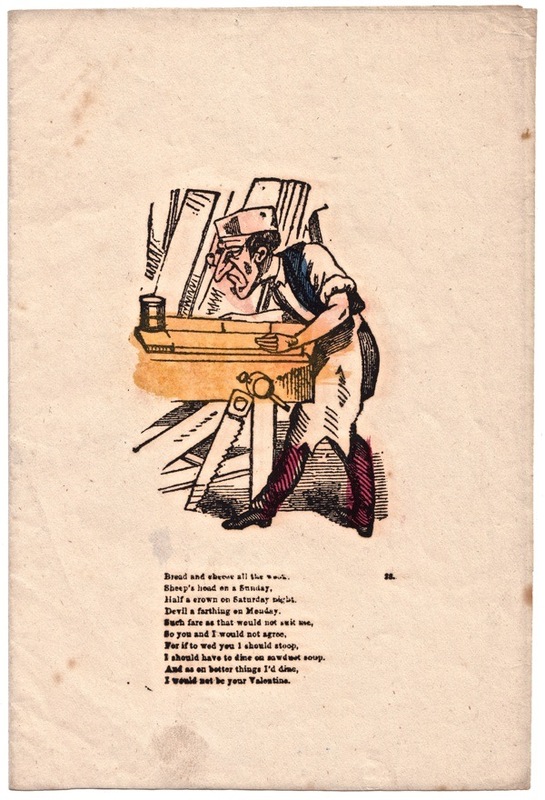 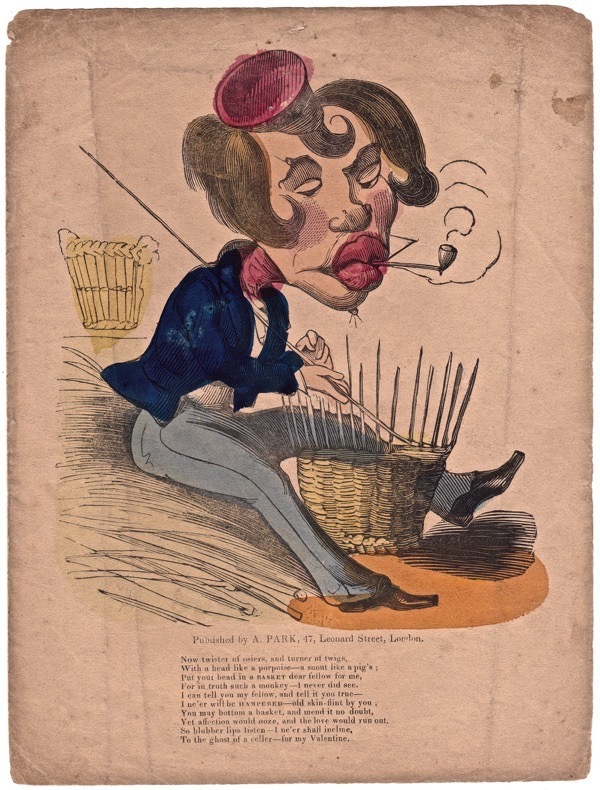 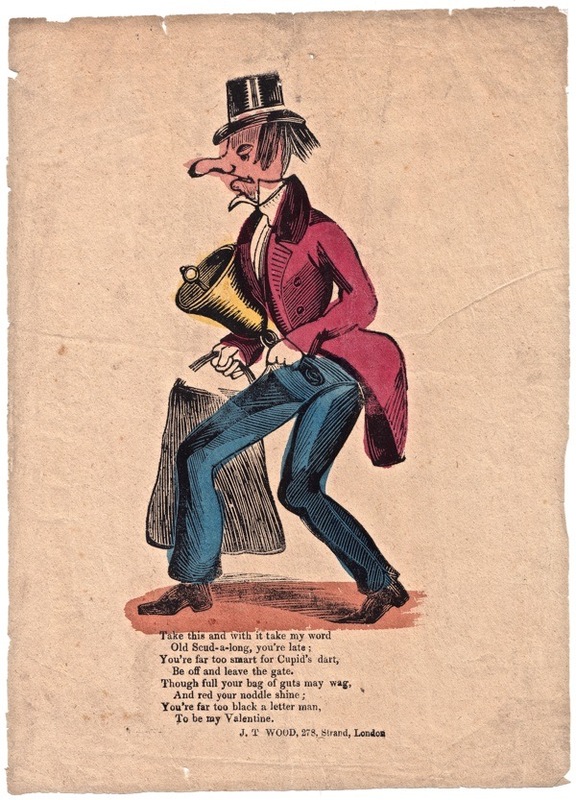 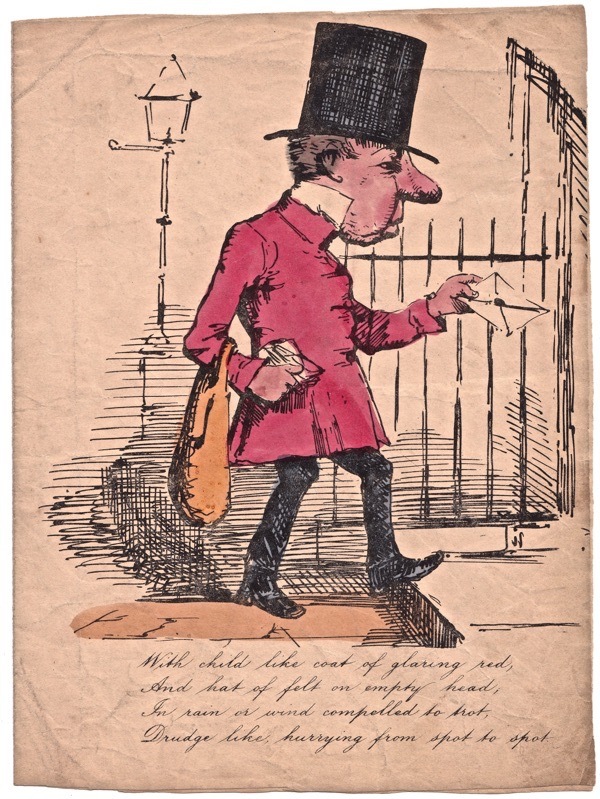 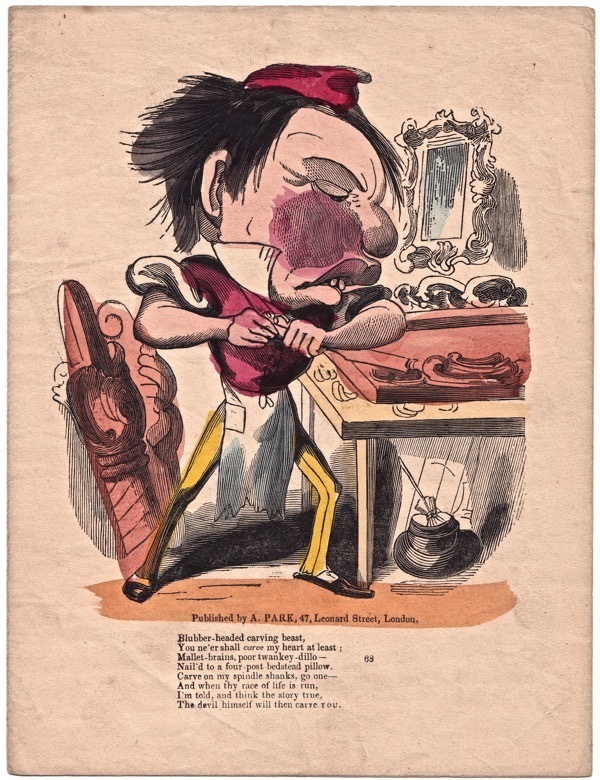 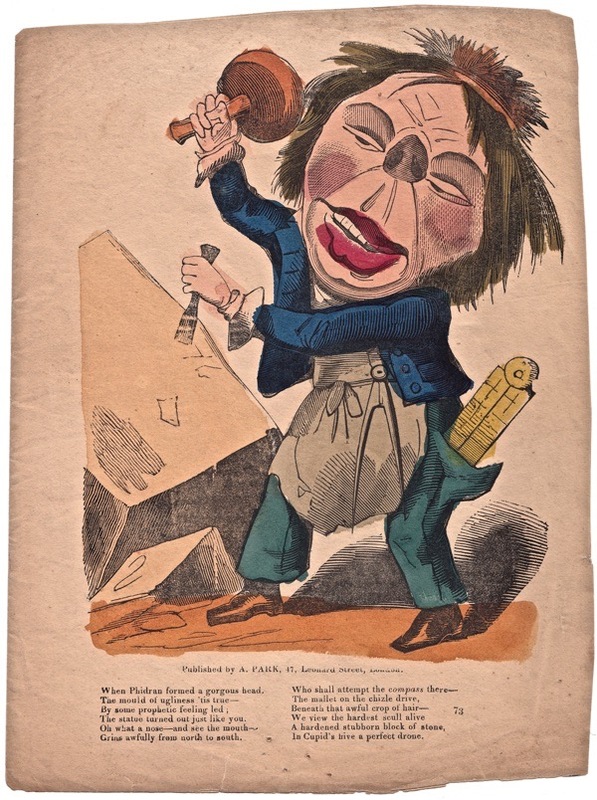 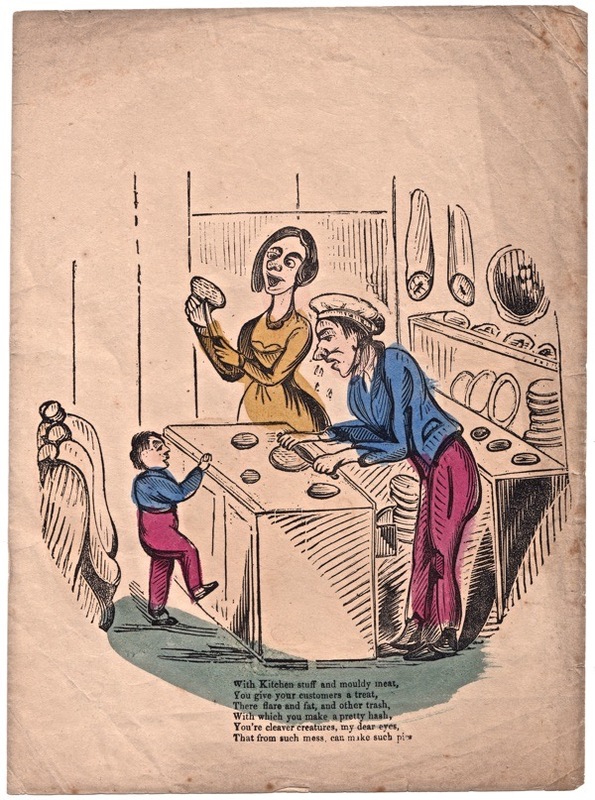 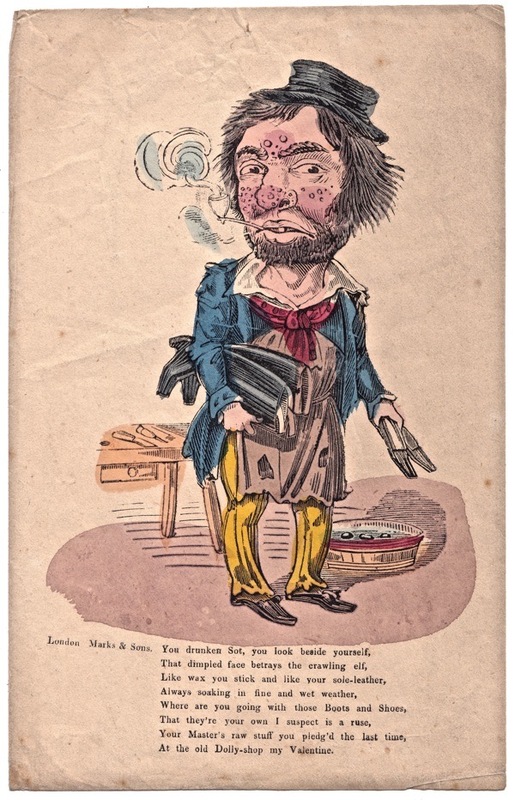 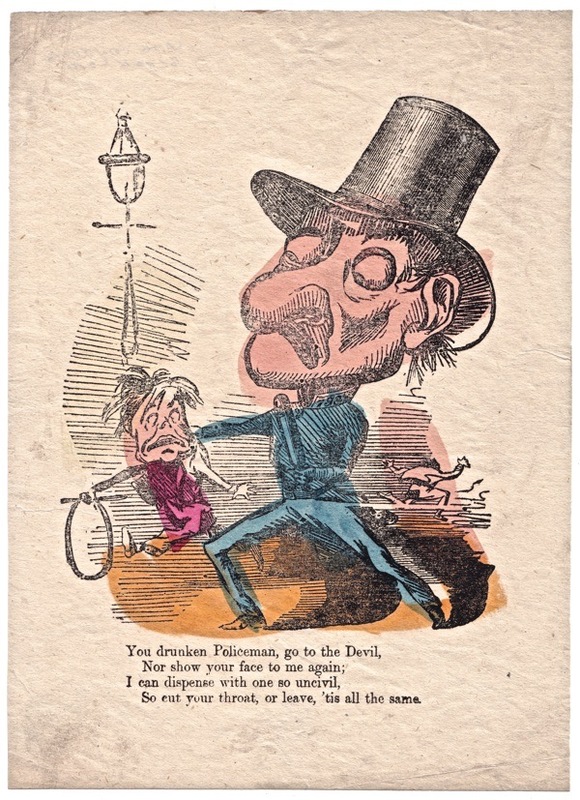 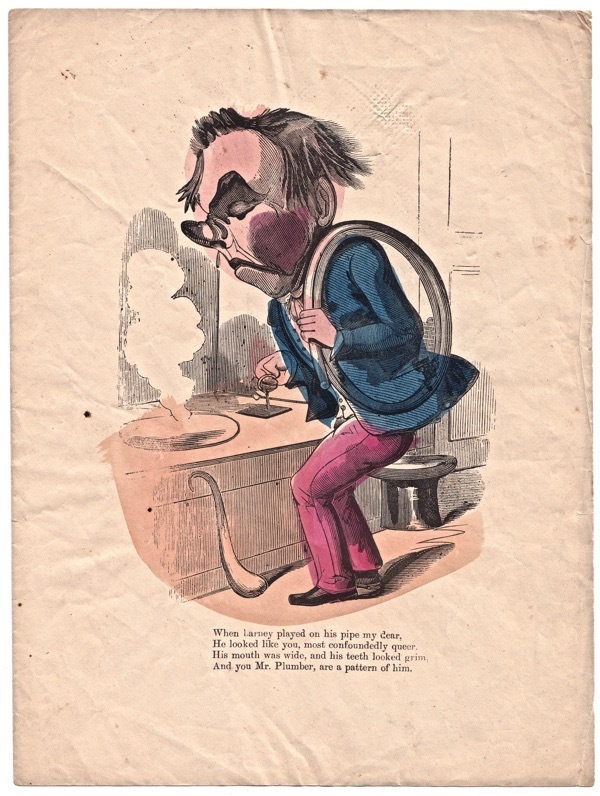 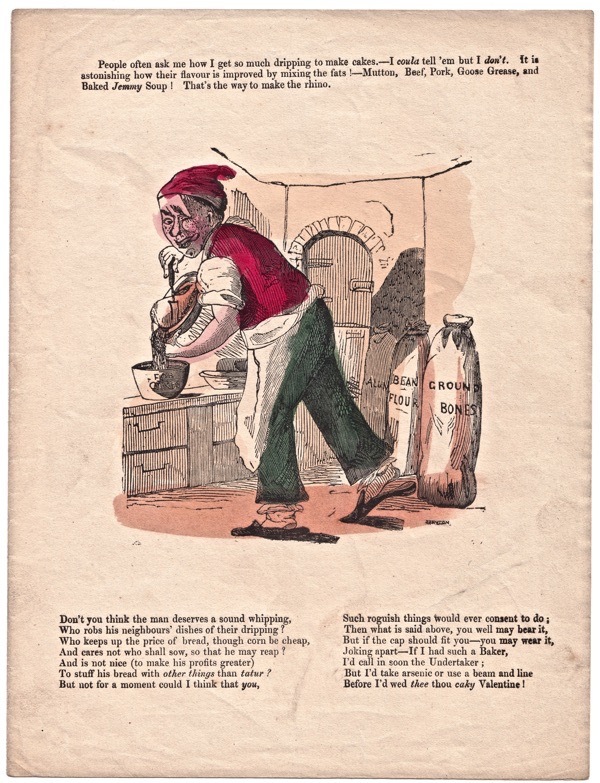 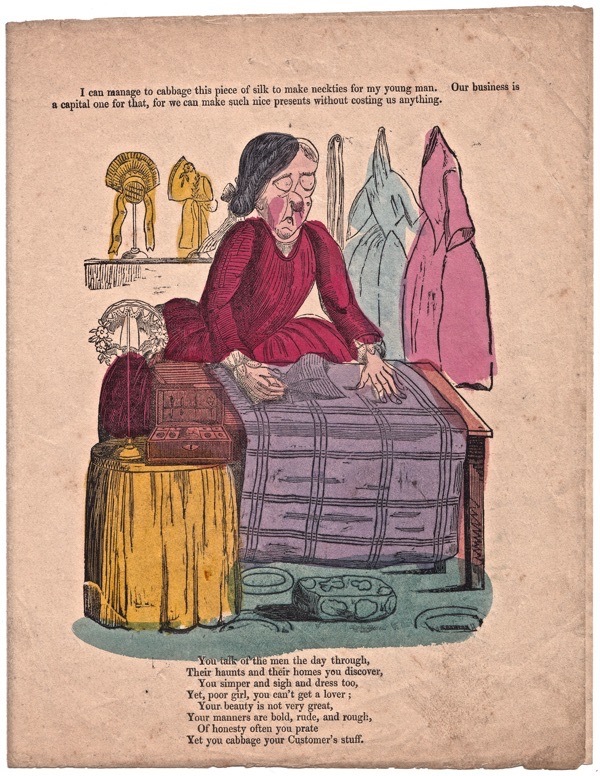 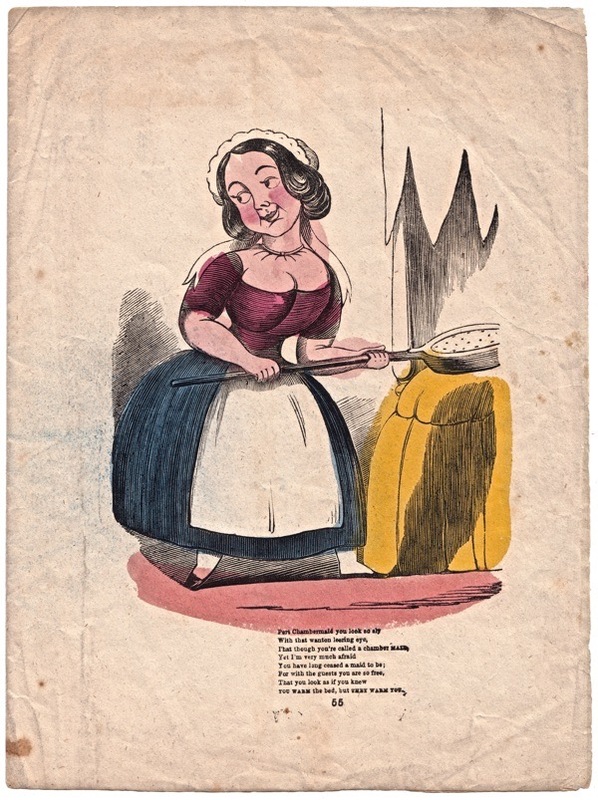 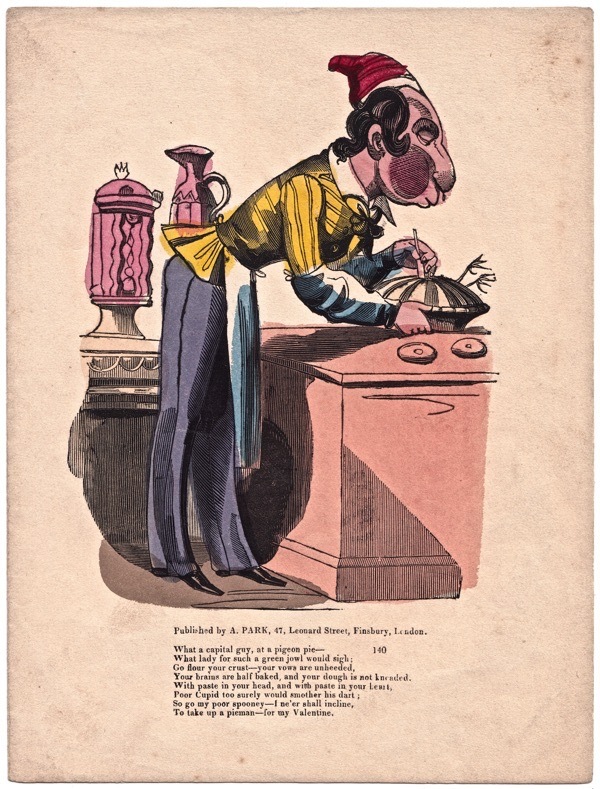 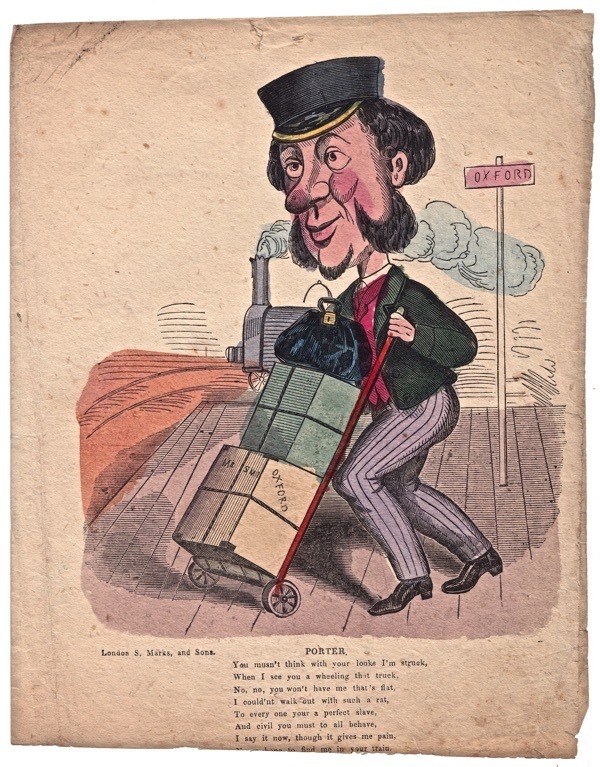 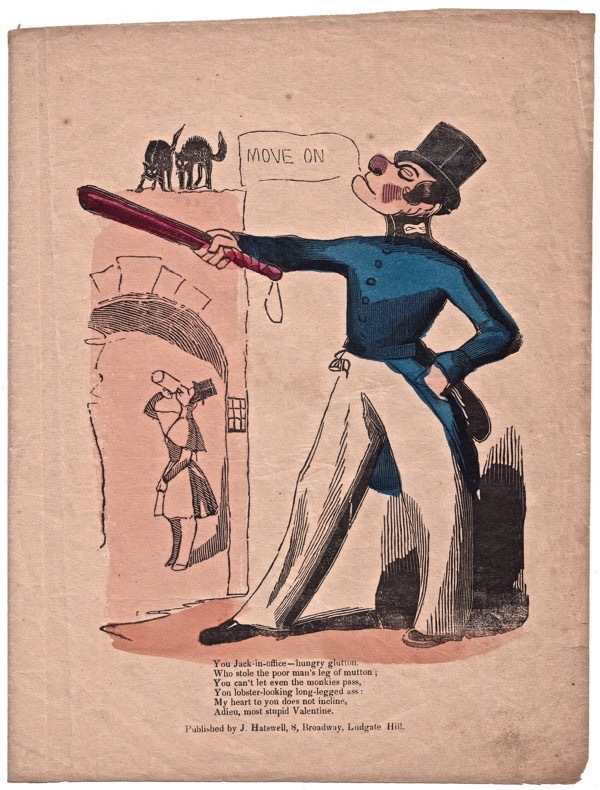 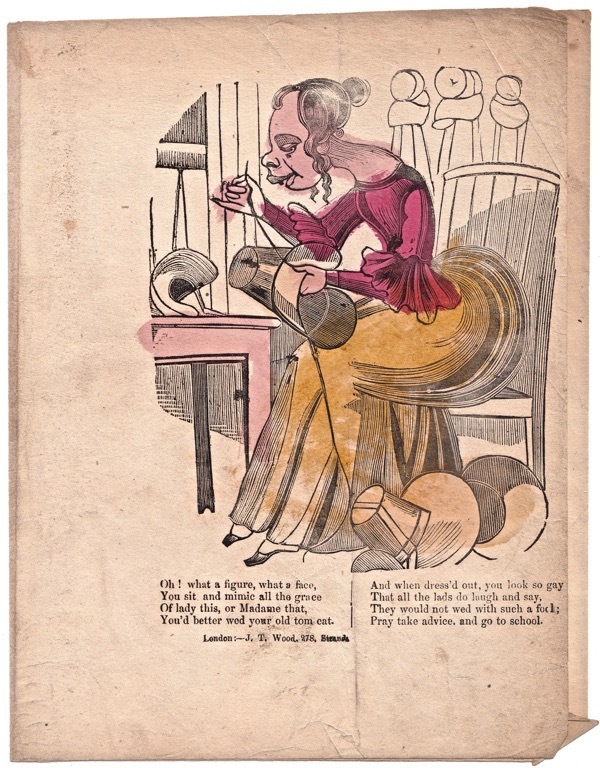 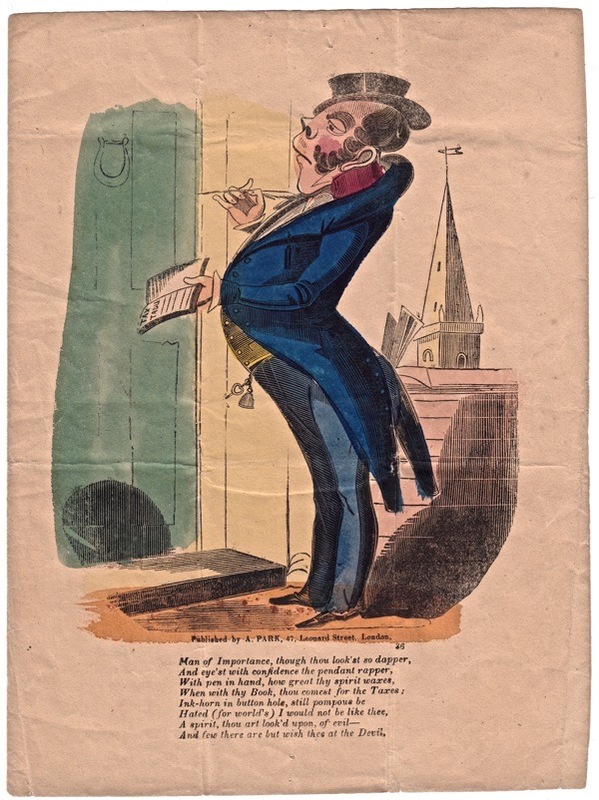 This selection from the Mike Henbrey collection of mocking Valentines at Bishopsgate Institute illustrates the range of tradespeople singled out for hate mail in the Victorian era. 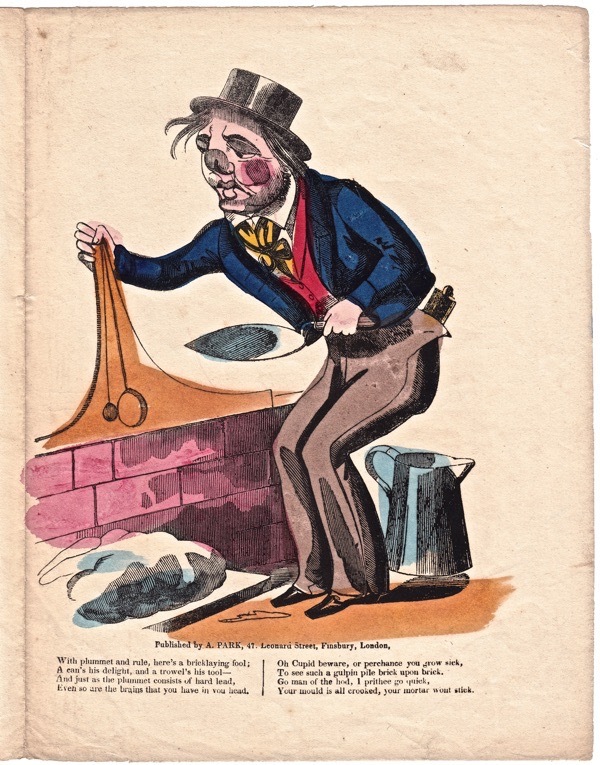 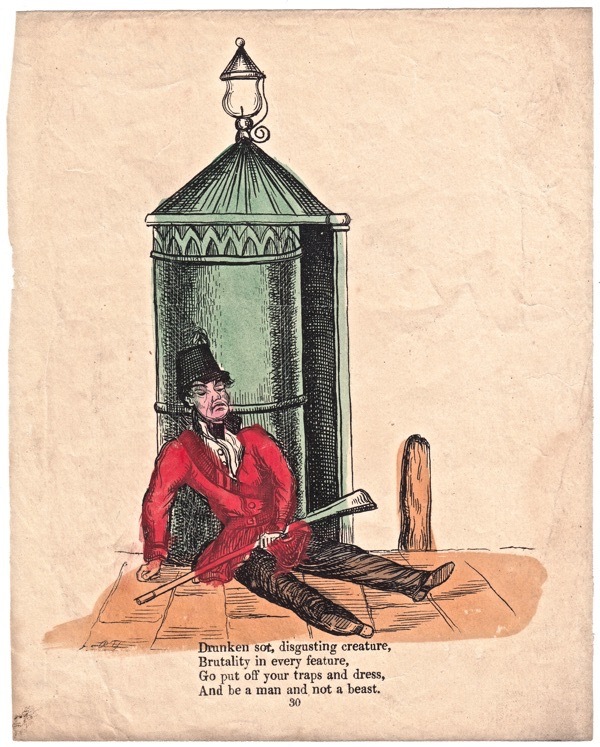 Nowadays we despise, Traffic Wardens, Estate Agents, Bankers, Cowboy Builders and Dodgy Plumbers but in the nineteenth century, judging from this collection, Bricklayers, Piemen, Postmen, Drunken Policemen and Cobblers were singled out for vitriol. 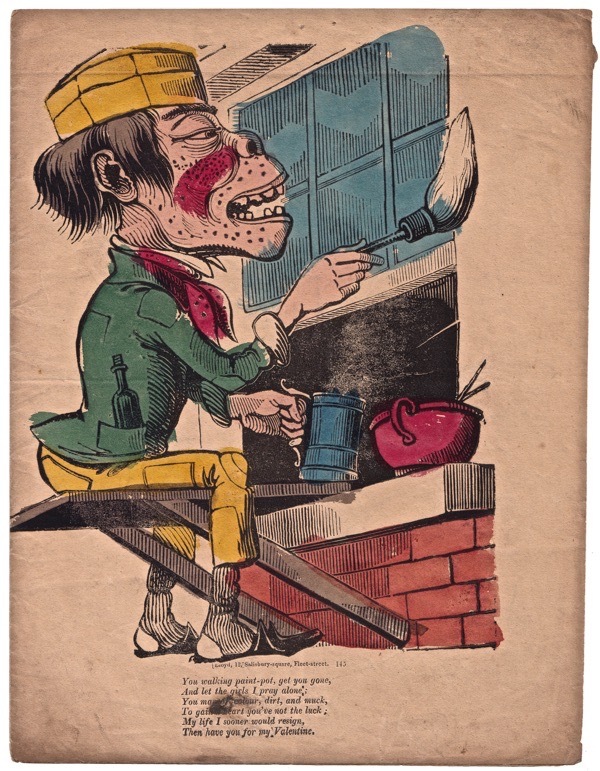 At a rough count, cobblers seem to have a nose’s lead in the hate stakes over bricklayers and the Filth. 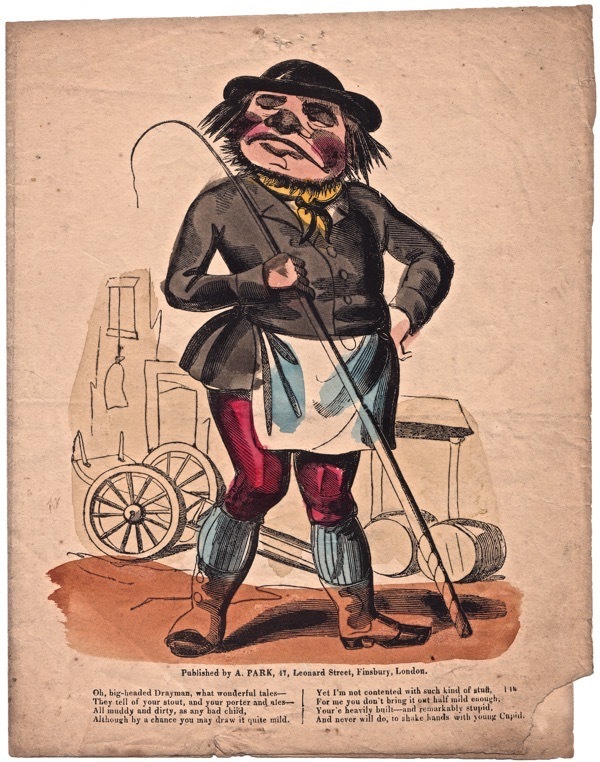 I’m surprised the tax collector appears only once (though I suppose his financial prospects for a hopeful young lady appeared to be quite promising). 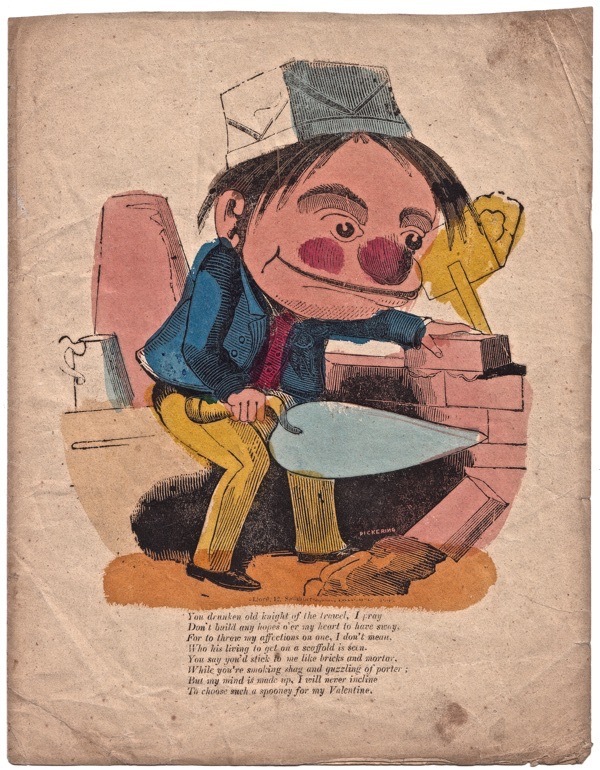 And where’s the night-soil man? 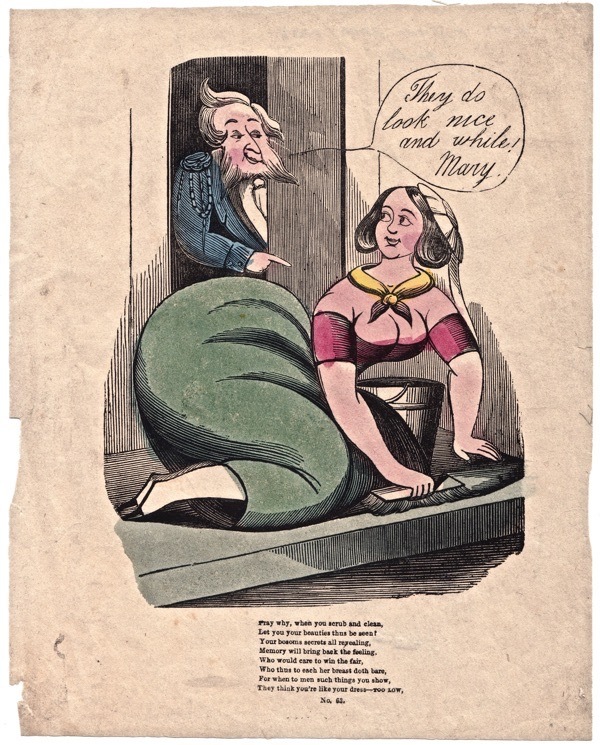 Always interesting to catch a glimpse into these corners of the past. 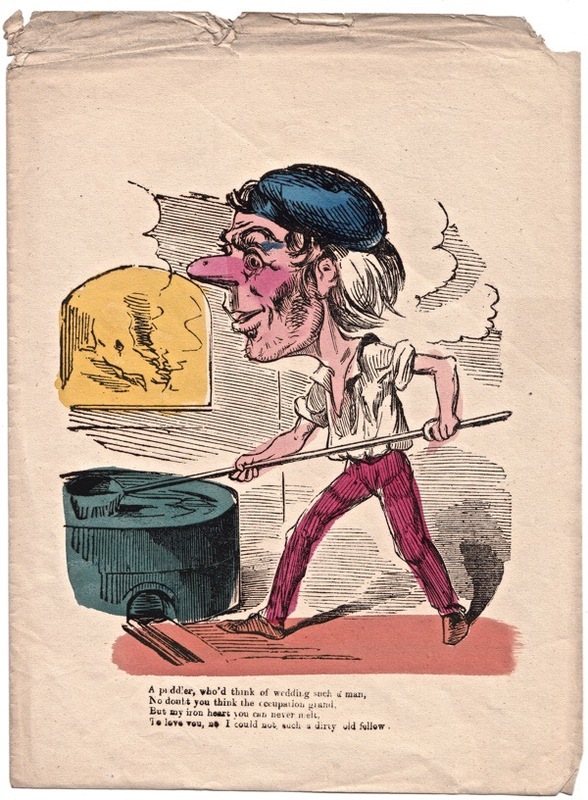 Your ‘peddler’ is actually a puddler though – the worker in an ironworks who ‘puddled’ brittle cast iron, transforming it into workable iron bars. 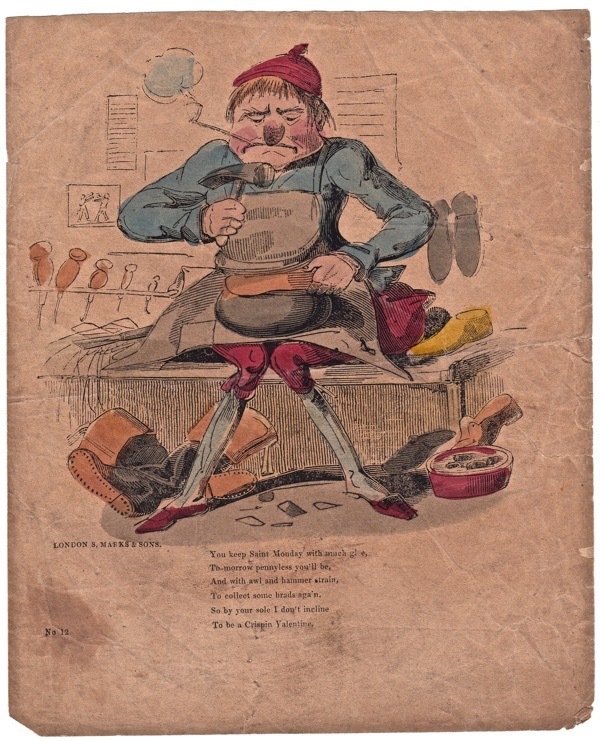 The whole Industrial Revolution was pretty much founded on his skill, so the poor man really deserved better than a valentine like this! 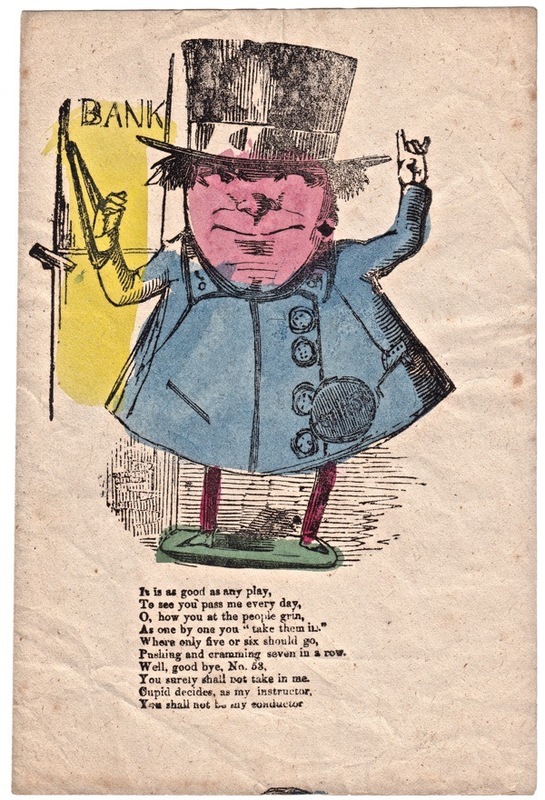 Lots of vitriol in days begone. 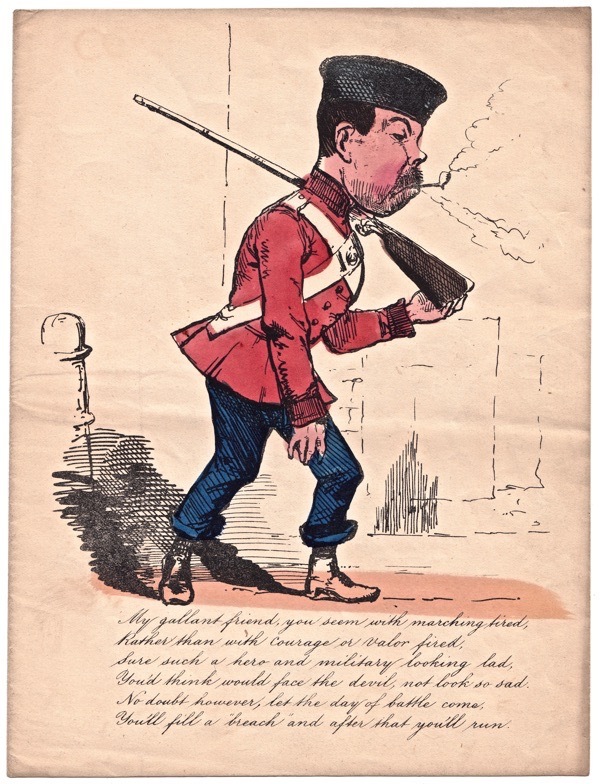 Only the landed gentry were spared.